Trash the Rose’s and make your own lime cordial. 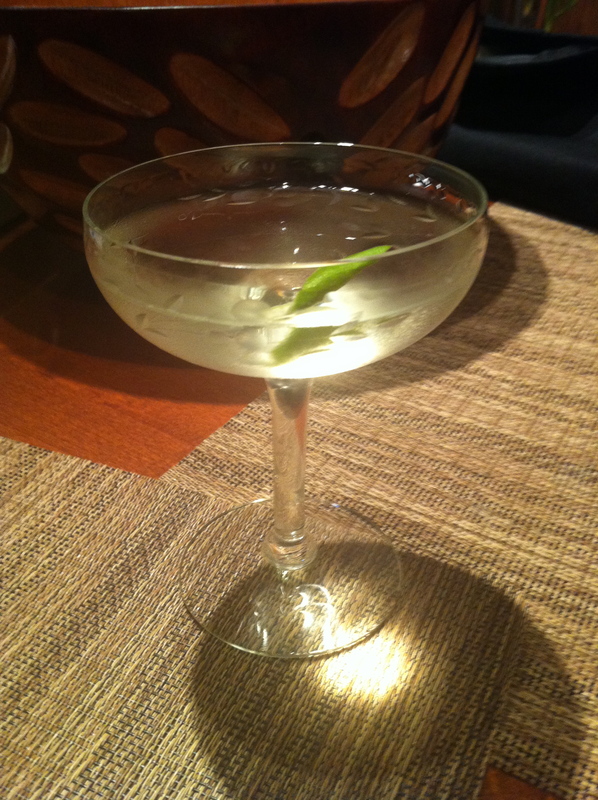 A few weeks ago I read a NY Times article on lime cordial and Gimlets. It basically went like this: The only lime cordial left on the market is Rose’s, which is garbage. So bartenders that care have begun using fresh lime juice and sugar to make Gimlets, which really aren’t Gimlets, but gin sours. You see a Gimlet needs lime cordial in order to be. So how do we go about making a delicious Gimlet without changing it into another cocktail? Make our own lime cordial or preserved lime juice. The recipe the NY Times provides for a home made lime cordial, while delicious, is no more than fresh lime and sugar made in batch with some lime peel added for complexity. So we aren’t really solving the problem. As the wheels in my head started turning I remembered Dave Arnold’s seminar at Tales of the Cocktail Vancouver, where he talked about simple lime juice clarification using agar. Also, cordials traditionally had some sort of spirit base. Alcohol not only works as solvent to pull flavors from spices and fruit, but act as a preservative when incorporated into the final product. After all, cordials were originally produced to extend ‘shelf life’ of fruit that would otherwise go bad quickly. So…using the recipe in the NY Times as a starting point and adding in a few other techniques, I have come up with a recipe for a true lime cordial that will most likely get used before it goes bad. 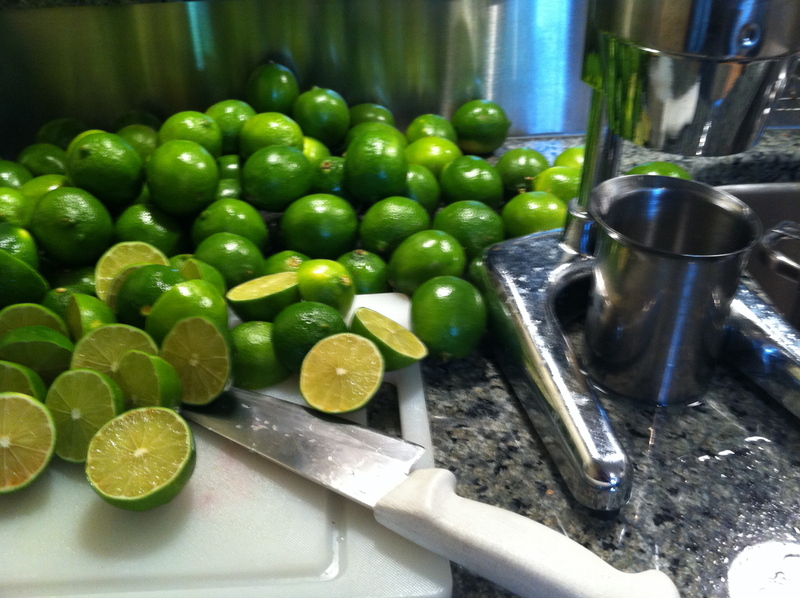 Start by peeling 18 limes getting as little of the white pith as possible. Soak peels and 1 tablespoon coriander seeds in 8oz of white rum. I like to use Chairman’s Reserve or Wray and Nephew Overproof, but Cruzan will work as well and is a bit cheaper. Let sit for 48 hours then strain. While waiting for the above we need to juice the peeled limes plus a few. We want about 3 cups of fresh lime juice in total. Then we clarify the juice. Here is Dave Arnold’s method, it is a geek out paradise if you are like me. If you aren’t like me I will try to simplify it a bit for you. Agar is derivative of seaweed that acts similar to gelatin, it can be found in most Asian specialty markets. Begin by adding about 2 grams of agar to 1 cup of cold water and bring to a boil, dissolving the agar completely. Remove from heat and slowly pour in your lime juice in order to temper it, making sure the liquid doesn’t drop below 95 degrees Fahrenheit or the agar might begin to set early, it shouldn’t be a problem at these volumes. Place in a shallow pan or bowl and refrigerate until it gels. Once jellied, break it apart using a whisk and strain through muslin, slowly massaging the liquid out instead of forcing it through. you should get most of the juice back but it will be completely clear. If you are impatient like me and squeeze a little too hard you will probably get some of the agar through the bag, just run it through a coffee filter. Once your juice is clear and filtered, add an equal amount of sugar and stir until completely dissolved. Then add in the “infused” rum, mix thoroughly, and bottle. Keep your cordial in the refrigerator to maximize shelf-life. My first batch lasted over two months and tasted just as good on the last drink as the first. So, it’s been awhile since I’ve had some time to sit down and write. That’s because a few other local bartenders and I have been working on putting together an association for bartenders on the Eastside. 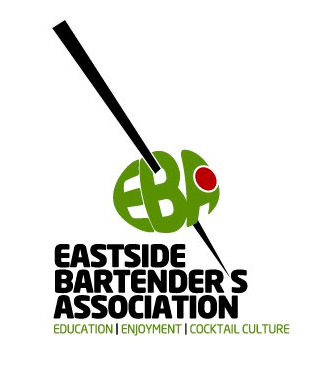 We call ourselves, what else but, the Eastside Bartenders Association. Our goals is to provide a source of information for both industry professionals and enthusiasts alike. We will be focusing on fun and educational tasting events hosted by various spirits companies, cocktail seminars, as well as keeping an up-to-date calendar of local spirit and cocktail related events on our website. Our first event is this Monday, June 27th, check out our website for details and like our page on Facebook. I promise I have a lot of fun things to write about as soon as I can find some spare time. 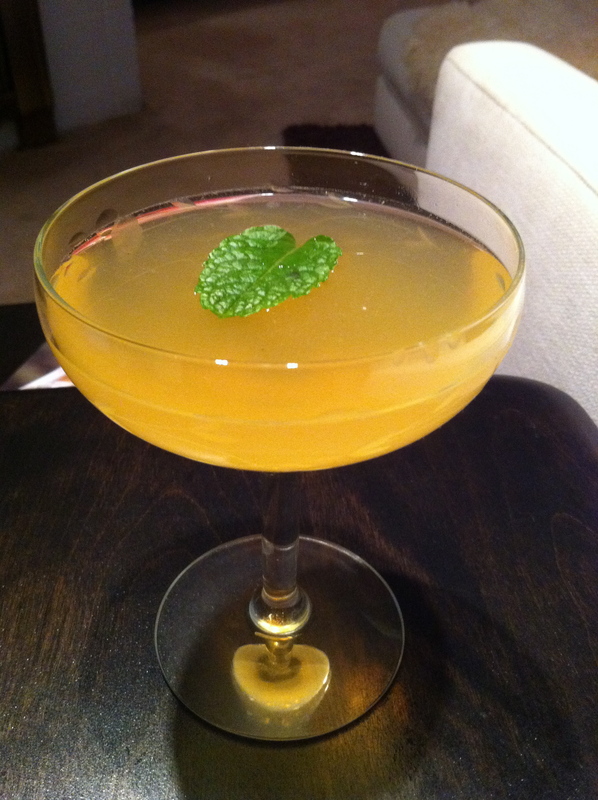 Here is a quick last minute recipe for a fun St. Patrick’s day cocktail. Dry shake all ingredients with the spring from a hawthorn shaker to fluff the egg white. Don’t be gentle, punish that egg white. Add ice and shake again to chill. Double strain into a frozen fizz glass without ice, I use an 8oz glass. Top with sparkling water. 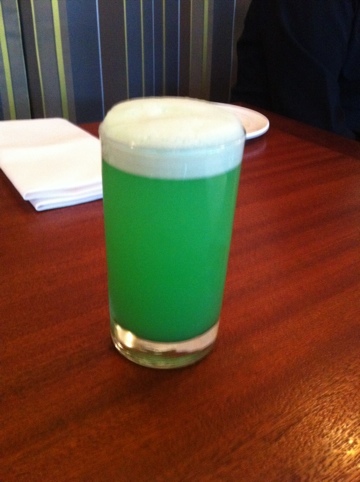 Use a beer schooner in place of the fizz glass for a ‘green beer’ effect. One of the most challenging things of being one of the only craft bartenders in Kirkland is that people aren’t used to a bartender that can make a wide range of well made cocktails. Most bartenders in my town have one cocktail that they make the best, and most likely it’s a slight variation of a lemon drop, cosmopolitan, or mojito. These are all good cocktails but are, more often than not, tossed together by some hack more interested in taking home the woman sitting next to you than actually crafting an enjoyable drink. What makes my nights enjoyable is when I get the guests that want to step outside of their comfort zones and ask me to guide them there. Guests can be so open to new food, wine and beer experiences but when it comes to cocktails, it’s an extra dirty vodka martini with extra olives, an onion and a twist on the side, or nothing. It saddens me when someone picks up my cocktail menu, takes a quick glance, and says, “I’ll just have a Lemon Drop.” I love to talk about spirits and cocktails. I bring in specialty items and print unique drinks on the menu in order to spur conversation. Classic cocktails have passed the test of time for a reason…they’re good, no reason to mess with them. 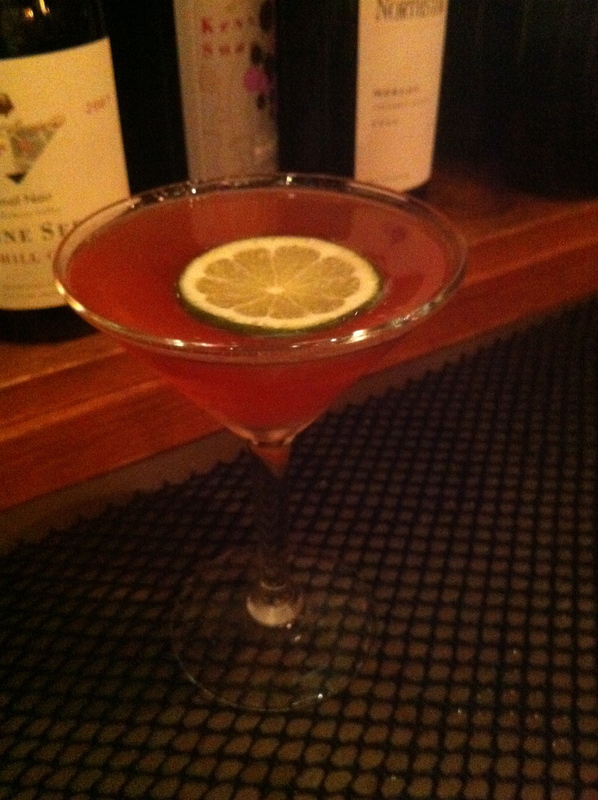 I love when I make a cosmopolitan, by the standardized recipe, and guests comment on how good it is. Yes, it’s a great drink, unfortunately over time every bar jockey has personalized it in some way that nobody knows what it is supposed to taste like. The most basic of sours, the Lemon Drop cocktail, with its flavorless base spirit, citrus, sugar and not much else, comes off boring and one note. Shake with ice and strain into a chilled cocktail glass with a sugared rim. Moving beyond the Lemon Drop. 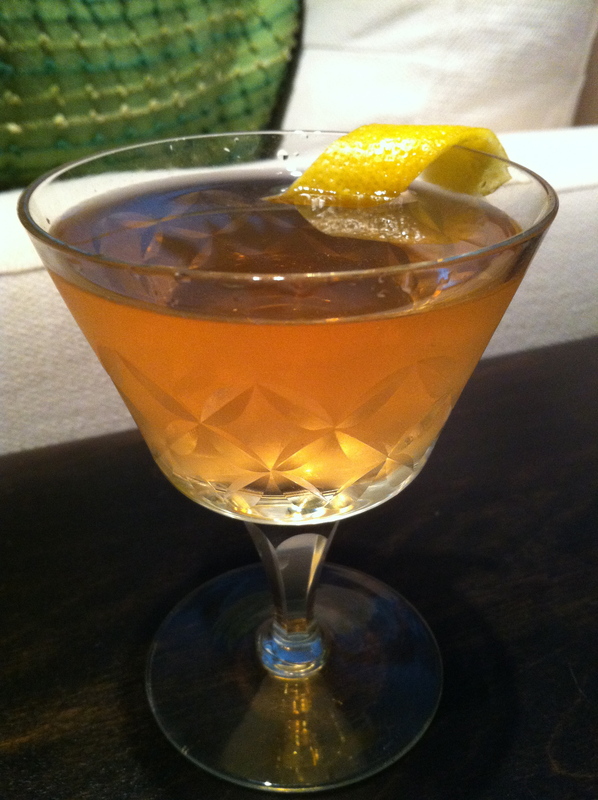 The Corpse Reviver #2 was created in the late 1800’s as a “hair of the dog” cocktail. It is very light, refreshing, full of citrus, and very well balanced. It is also my go to drink to convert people that think they don’t like gin. People are surprised at how much they like it. Shake with ice and strain into a chilled cocktail glass. 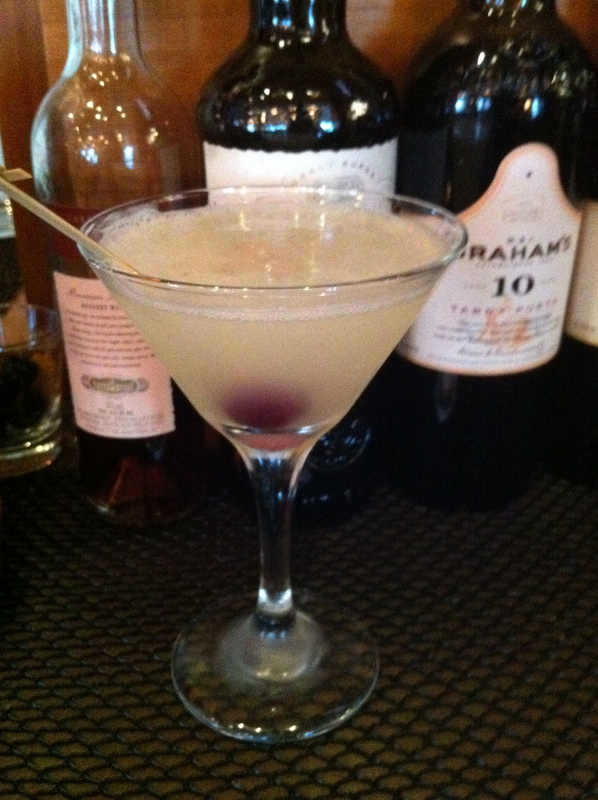 Top with 3-4 drops of absinthe and garnish with a brandied cherry. For those that like their Cosmos but want to branch out The La Floridita is usually what I recommend as a first step. It is layered flavors of spice, chocolate, pomegranate, vanilla and citrus. While balanced, is great for people who like their cocktails on the sweeter side. And yes it’s pink. Lastly, one of the horrors of modern mixology, the Sour Apple Martini. Dekuyper’s Sour Apple Pucker is a cheaply made, artificially flavored liqueur, which means it’s nasty, it has no place behind my bar. Unfortunately, I still get calls for this drink so I’ve had to put together a cocktail with a similar flavor profile using fresh and naturally flavored ingredients. It has more of a real sour apple flavor as opposed to the dirty Jolly Rancher flavor of the original. Most restaurant owners, managers and for that matter many bartenders don’t understand the importance of ice and it’s many forms in making truly great cocktails. A good bartender can make good drinks with any ice and will adjust their shake and stir to regulate dilution. However, a bartender that truly understands dilution, temperature and how it plays into each different style of cocktail, will work wonders when provided with quality ice. A luxury, ice was first introduced into watering-holes in the 1800’s and it didn’t come from a machine tucked in the corner of a kitchen. When first mass produced it was frozen in ponds, harvested in the winter months and stored over the summer in insulated warehouses. Delivered to bars in block form, it was up to the barman to make it fit in the glass. 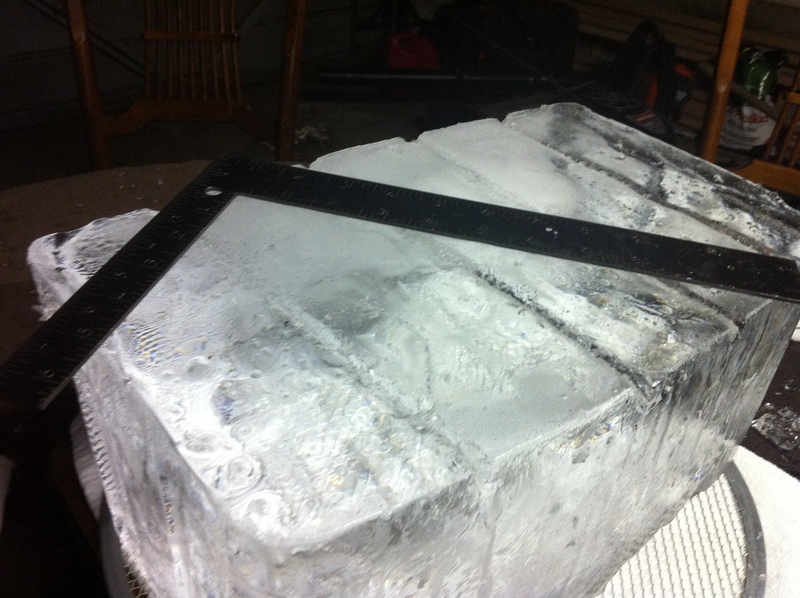 This allowed for bartenders to have control over the size and shape of the ice that they used and in turn led to an evolution in cocktail styles and techniques. 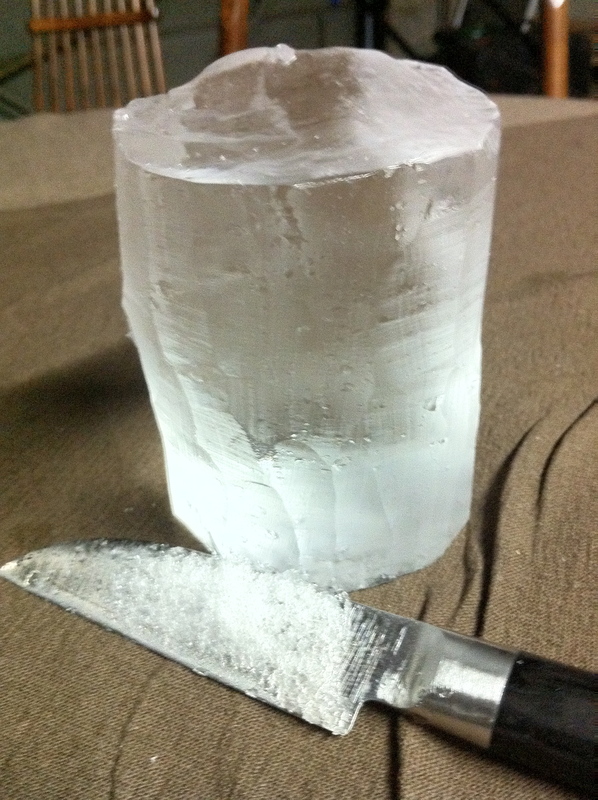 In order to create cocktails as they were intended to be experienced, one also has to use ice in the proper application. 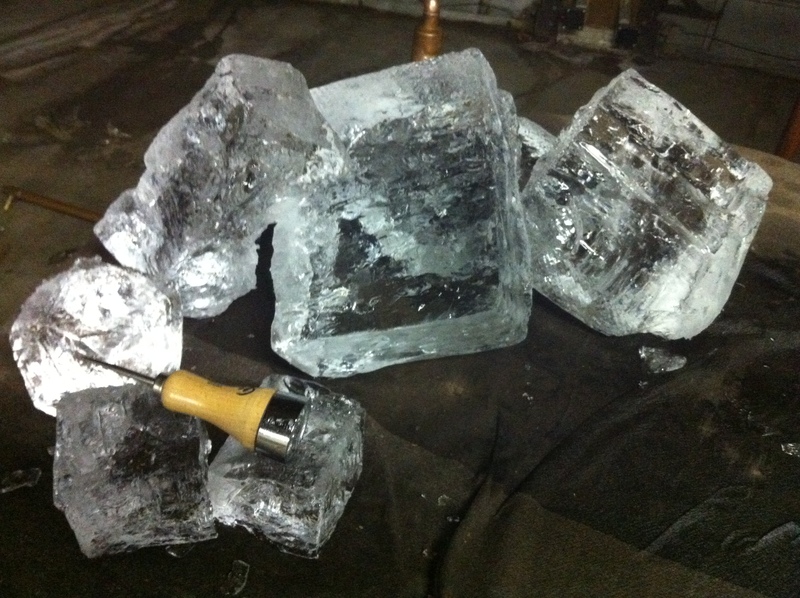 If you are going to work with block ice you need to be working with clear ice or you are just wasting time and effort. In the 19th century ice was frozen in large ponds and cut out, the directional freezing allowed for perfectly clear ice unlike the cloudy ice that comes out of your trays at home. Why is clear ice important? It melts about five times slower than ice with air trapped in it, this will keep your drink consistent longer and minimize the pool of watery booze and citrus at the bottom of your glass. 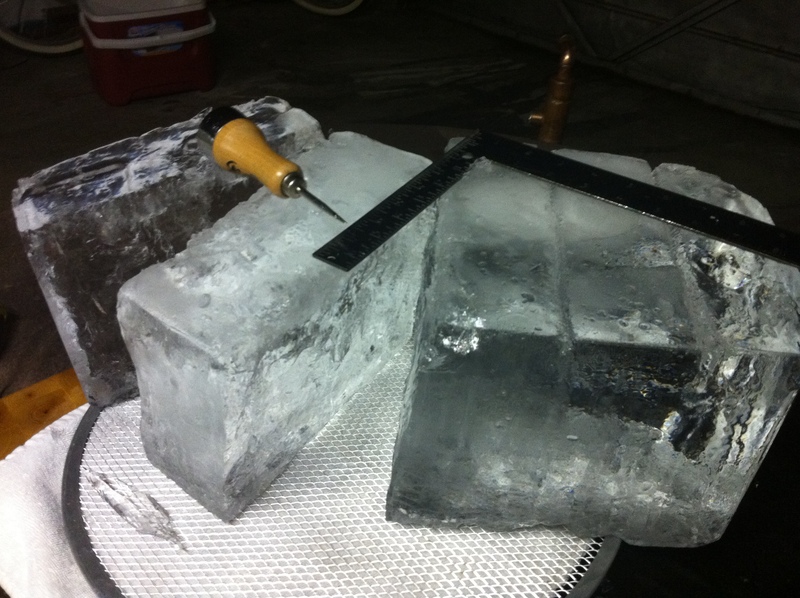 There are actually a couple of bars here in Seattle that order 300lb blocks of crystal clear carving ice and break them down every week with a chainsaw. This is a lot of fun, but very impractical and should be left to only the most dedicated ice/cocktail geek. Thanks to the experimentation by Camper English at Alcademics it is fairly easy to freeze your own clear ice at home or in the restaurant. Breaking down the ice into a useable size is fairly simple. First the block needs to be tempered or it will shatter when you try to crack it. Allow it to sit at room temperature for 30-45 minutes. Once the outside becomes slick mark off the lines where you want your slabs to crack. I use a carpenters square and ice pick to mark a guide line every three inches. Score it about a centimeter deep then tap along the line with your ice pick focusing on the center and a slab will eventually crack off following your marks. Repeat the process until you are down to approximately three by three inch cubes. If you are making punch, this size, or even a bit larger is great for floating in the punch bowl. They will melt very slowly keeping your punch cold and flavorful for long periods of time. The theory: the largest ice cube with the least amount of surface area melts the slowest. The application: one large spherical ice cube will allow you to enjoy chilled whisk(e)y without leaving you with watery remnants before you’re done. Japanese bartenders developed this technique and it is catching on world wide. Sadly, there are many bars and liquor companies promoting the incorrect way to do this, and by that I mean if you aren’t using clear ice for your balls you are doing it wrong. 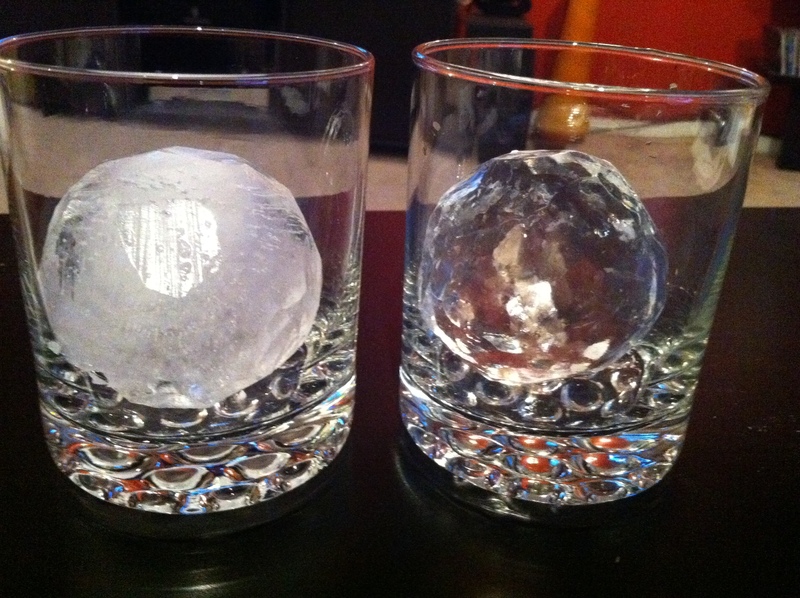 Until you have had whisk(e)y on an ice ball, made the way it was intended, you will not understand the beauty and significance of this technique. Traditionally one would use an ice pick and chip away corners to form a sphere. I prefer to use a nice sharp knife for carving leaving somewhat of a faceted finish. I find the easiest way is to start is by carving a cylinder. Then finish by rounding off the ends. 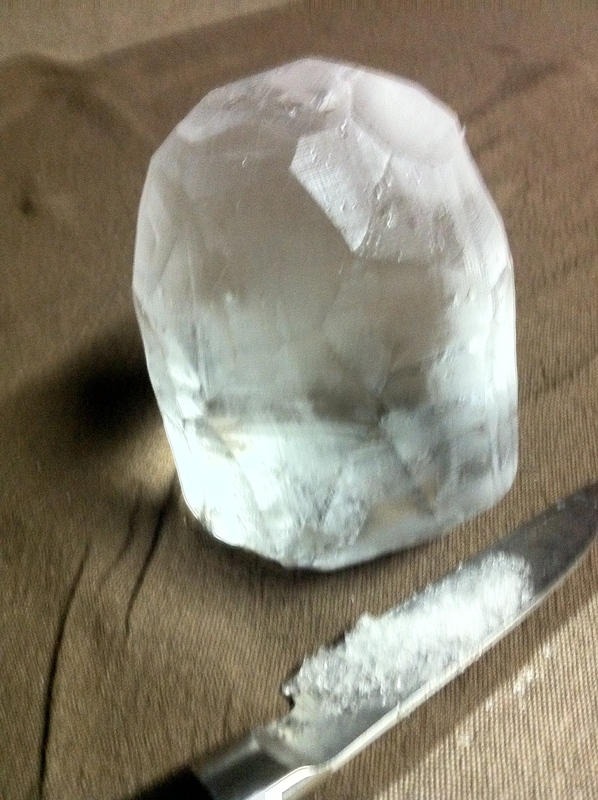 For those of you at home, just a couple more pokes with the ice pick and you have the perfect ice for a rocks drinks. For a bar owner this is where you stop with the labor intensive blocks and buy a Kold Draft ice machine: clear, 1×1 inch, super cold, cubes on demand. 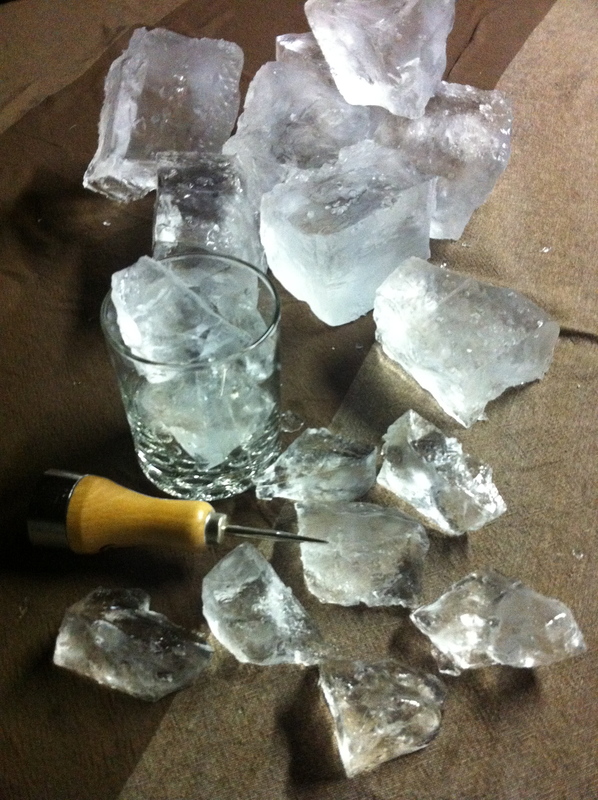 Slap the back of your lump or cubed ice with a bar spoon to crack the ice into smaller pieces for stirring and shaking cocktails. I like to use a combination of lump and cracked ice when mixing a cocktail, the smaller pieces provide necessary dilution while the larger ones help to cool the liquid. Crushed ice is a necessity for Mint Juleps, Mojitos, Mai Tais and almost anything Tiki. 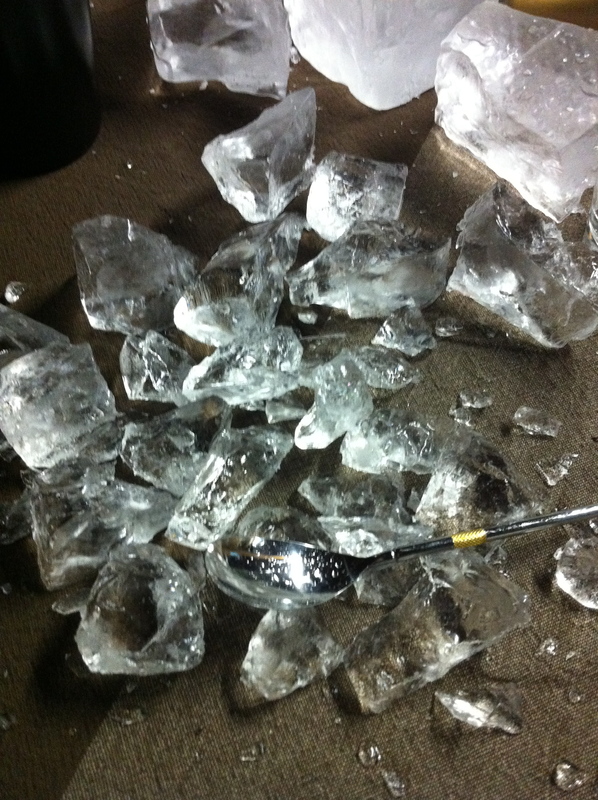 The best crushed ice comes from using a lewis bag and a mallet, it’s the only way to get a great snow-like consistency. 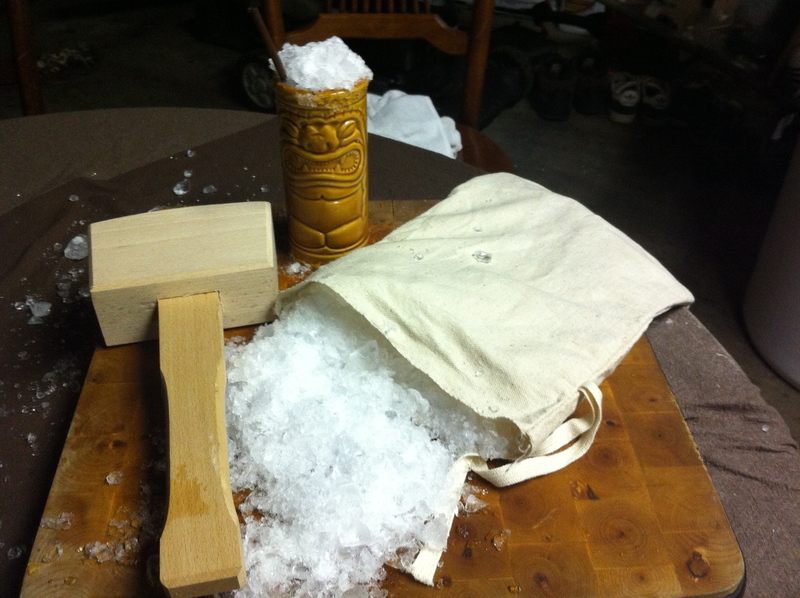 Place lump ice into your lewis bag and pound away until all aggression is released. If you are in a high volume situation this may not be the best option as it’s relatively slow and can be loud during service. Electric ice crushers work great for filling up a divided ice well before service allowing easy access to crushed ice during peak hours. 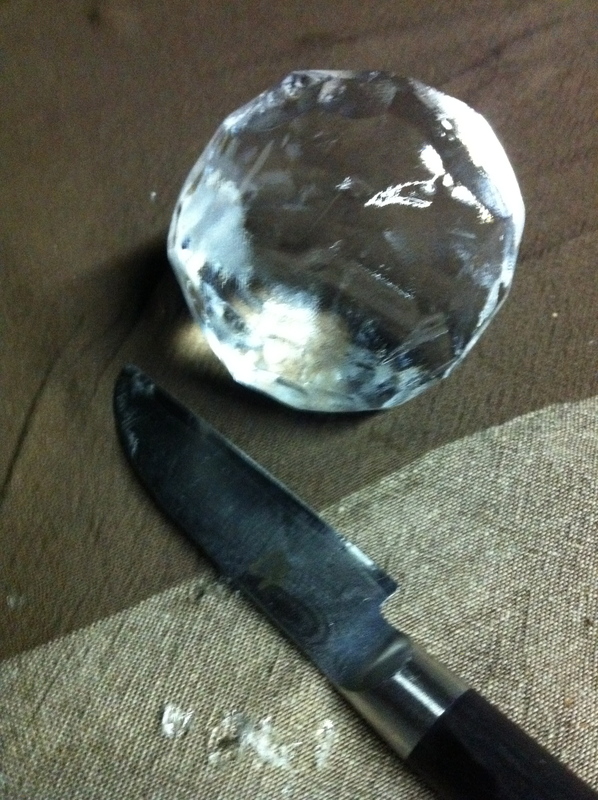 Ice is the most important tool a bartender has, almost all of our other tools are made to manipulate it. Knowing how to use it is paramount in making great cocktails. …for eggnog! I love eggnog! So much so that I have to limit myself to only drinking it between Thanksgiving and Christmas. One month is all I get to enjoy the rich, creamy, soul-warming goodness of a good nog, otherwise my waistline and LDL would suffer immensely. Those that know me know that I am not a fan of pre-made store bought food items. I feel that most things can be made at home cheaper, better tasting, and free of processed ingredients and preservatives. While homemade eggnog might not be cheaper, it won’t cost you any more, and the extra effort in preparation is well worth it. Even those that think they don’t like nogs will form a new found appreciation. I like to add bourbon to mine but a blended whisk(e)y, brandy or a good aged rum will work just as well. Use a good mid-level liquor, you want something well made but at the same time a really nice spirit will just be a waste in this recipe. In order to keep from getting in trouble with the health department and/or getting sued, I do need to add the requisite raw egg disclaimer: Consuming raw eggs, like sushi or rare beef, may pose a slight risk to your health in the form of salmonella or other food-borne illness. Here is an excellent article on the safety of raw eggs in cocktails. Equip a stand mixer with the whisk attachment. Beat the egg yolks on high until light in color, slowly add sugar and continue mixing until it is dissolved. Turn mixer down to lowest setting and stir in cream, half and half, and liquor if using. Empty contents of the mixer into a large bowl. Place egg whites in the mixer and beat on high until soft peaks form. Add a Tablespoon of sugar and continue beating until stiff peaks form. Stir egg whites into the rest of the mixture. Transfer into a pitcher to facilitate pouring and refrigerate until ready to serve. When ready to serve pour into a glass and top with fresh grated nutmeg. I like a pretty thick eggnog, if you would like yours a little thinner, substitute milk for the half and half. For a variation try substituting the cream and part of the sugar with melted vanilla bean ice cream. I have also used vanilla infused sugar with delicious results. To make this: slit open several fresh vanilla beans and place into a jar of white sugar, allow to sit for several weeks. I’ve never made a batch last more than 24 hrs so I don’t know how long it will keep for, but I wouldn’t recommend more then 2-3 days in the refrigerator. Last week I had the chance to stop by Woodinville Whiskey and hang out with Orlin Sorensen and Brett Carlile. Two local guys who decided to get into the whiskey business. 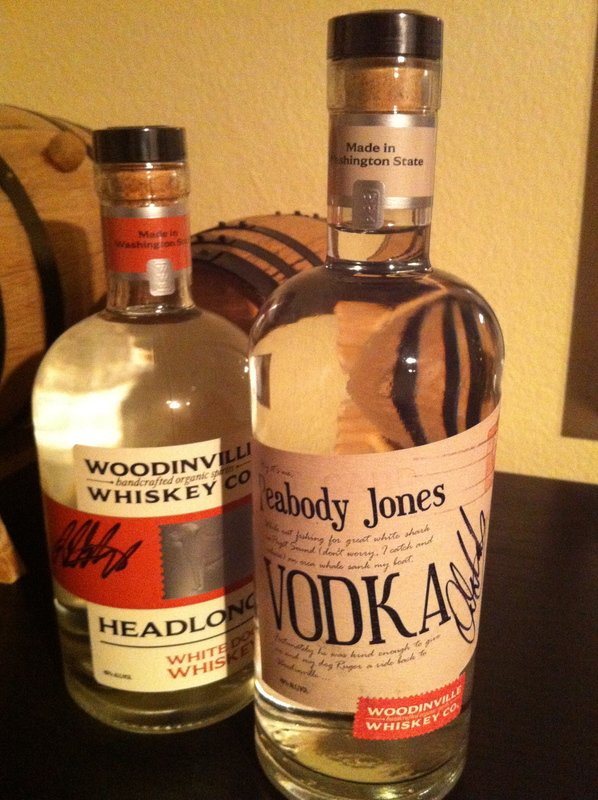 This Tuesday afternoon they were distilling Peabody Jones, a USDA certified organic, Washington wheat vodka. Forget what you’ve heard about multiple distillations adding to quality or purity. Sure, the more times you distill, the more flavor you will strip. However, the most important things in making a quality vodka is a good equipment and a good distiller. When the spirit comes out of the still it is 190 proof, or 95%. It is amazing when you taste a spirit at this high of a percentage and there is no “burn” but only a nice refreshing menthol sensation. This a clean distillation. While the spirits enthusiast in me likes a good vodka that is full of character, the mixologist in me shuns the idea of making a cocktail out of a spirit whose subtle flavor is so easily covered up. After all, the idea of a great cocktail is to embody and enhance the base spirit. So while I was at Woodinville Whiskey I took the opportunity to do some mixing with their Headlong white dog. White dog is what distillers put into oak barrels to age and make the whiskey we are all familiar with. In a sense it’s moonshine made legally. It has gained a bit of a cult following over the last few years and flavor profiles vary widely depending on the grains used. The Headlong is from a mash of mostly corn so it has a great nutty flavor with some vanilla notes. The first cocktail I tried was the requisite White Manhattan, I think the Headlong makes one of the best I’ve tasted. I also found sherry and orgeat to play well with the white dog’s flavors. Introducing juices into the mix was a little more difficult. High acid juices, like lemon and lime, just destroyed the flavors of the whiskey, so I turned to softer juices. Orange is always a favorite of mine when working with more delicate spirits and, what the hell, how about some Washington apple cider to go with a Washington whiskey. It was actually a perfect complement to the hot mulled cider I was drinking the night before while carving pumpkins. I had an awesome time at the distillery. Orlin and Brett are great guys with a couple of great products and I can’t wait until they release some of their aged whiskey. Stop by their tasting room and check them out on Facebook to follow their progress. place mulling spice into a tea ball or muslin bag. place spice bag in cider and heat on the stove-top. let simmer for 5-10 minutes then remove spices. put Headlong into a heat-proof mug and top with hot cider. Many of you are familiar with the Dry Fly Distillery in Spokane, the first legal distillery in Washington State since prohibition. They have been operational since 2007, and thanks to tremendous influence on their part the laws regarding still operation in the state have eased, making the Washington craft distiller a reality. As of early 2010, it has become much easier to obtain the necessary permits, and distilleries can now have tasting rooms and sell their product direct to the public. As of today there are 9 operations with product in bottle, and many more are just firing up the stills. Were mostly seeing vodkas at this point, but that is the logical first step giving distillers a chance to work on recipes and practice getting a clean distillation. In 2008 they were the second distillery, shortly after Pacific Distillery, to tuck themselves in amongst the Woodinville wineries. 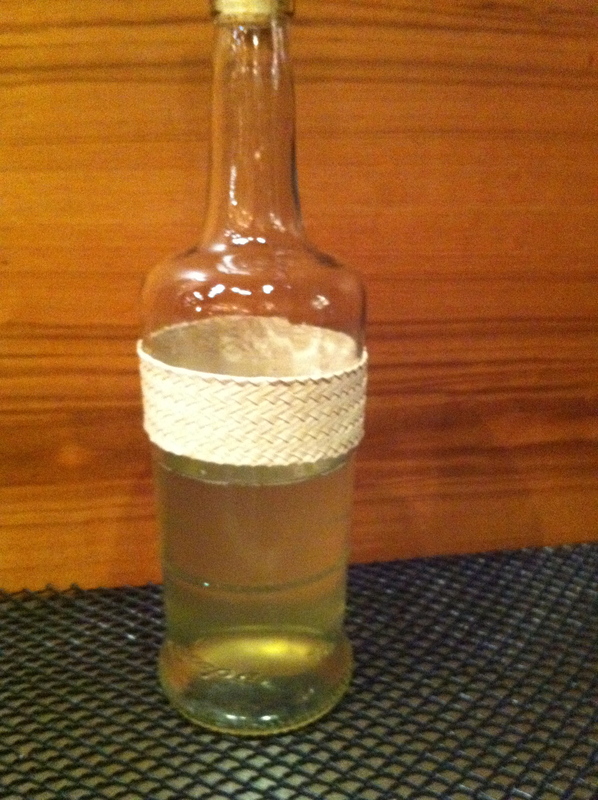 Soft Tail started out making several different styles of fine Grappa with grape pommace from their neighbors. The Grappa Sangiovese brought home a silver medal from the San Francisco World Spirits Competition, and they have some unique and interesting styles in the works including some barrel aged spirits. Soft Tail’s bread and butter is their Washington State apple vodka. No, not apple flavored vodka, it is actually distilled from apples, which is great for those concerned about gluten in their liquor. 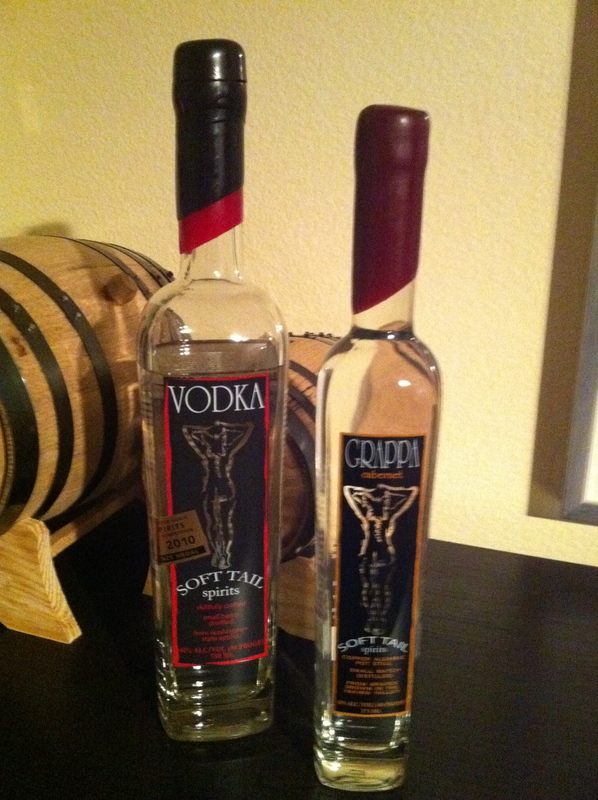 It took home bronze from the World Spirits Competition and is one of the cleanest tasting domestic vodkas I have tried. They just got a listing with the liquor board so keep an eye out for it at your local state store. Steven Stone has been a busy man trying to get his distillery up and running while working his day job. Sound Spirits has become the first legally operational distillery in Seattle proper since state prohibition began in 1915. 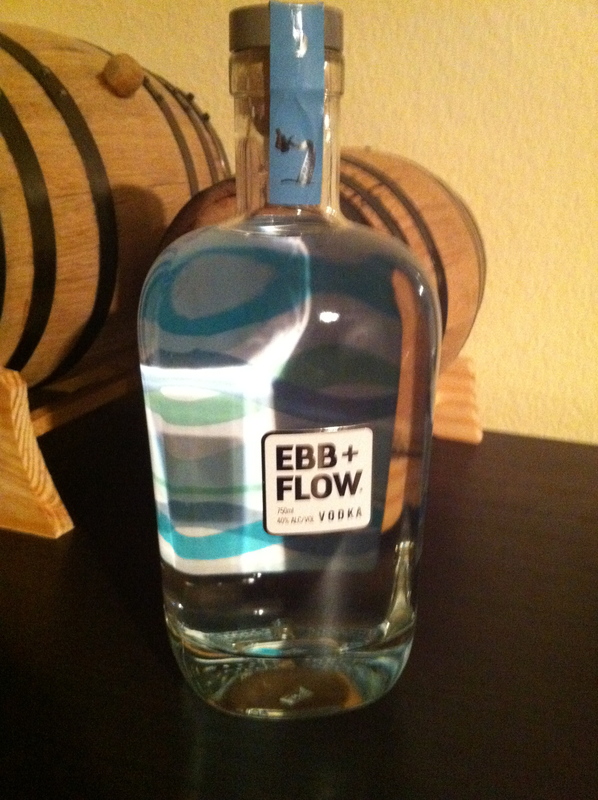 His first product to hit the market is the Ebb & Flow vodka made from Washington barley. This is a great product for someone who likes their vodka with a little character. It has a nice malty nose and great fruit characteristics, coupled with a very clean distillation. Next up is his Ebb & Flow Gin which I’ve had the pleasure of tasting and can’t wait to put it on my shelf. Steven has tasted me on a couple of other projects in the works but has sworn me to secrecy. All I can say is keep a very close eye on what he is doing. The newest and most promising distillery with open doors, Woodinville Whiskey, will be the first in the state to produce a true non-aged designated Bourbon. Unfortunately for us that means a minimum of four years in barrel. Mentored by David Pickerell, retired Maker’s Mark Master Distiller, these guys have the potential to rival some of the great American whiskey’s. The Headlong white dog whiskey is a taste of what goes into the barrels before the vanilla and spice from the oak is incorporated. This is one of my favorite white dogs on the market right now. In comparison to other un-aged whiskey’s, such as Buffalo Trace Mash #1, I have to say it makes me really excited for what’s to come. Hopefully they will let out a young whiskey before the Bourbon is done, just to tease us a little more. Also available from them is, of course, Peabody Jones vodka. It is distilled from Washington wheat one time through a double column still creating a nice clean product while retaining some great toast and vanilla flavors. Let me know if I forgot anyone. 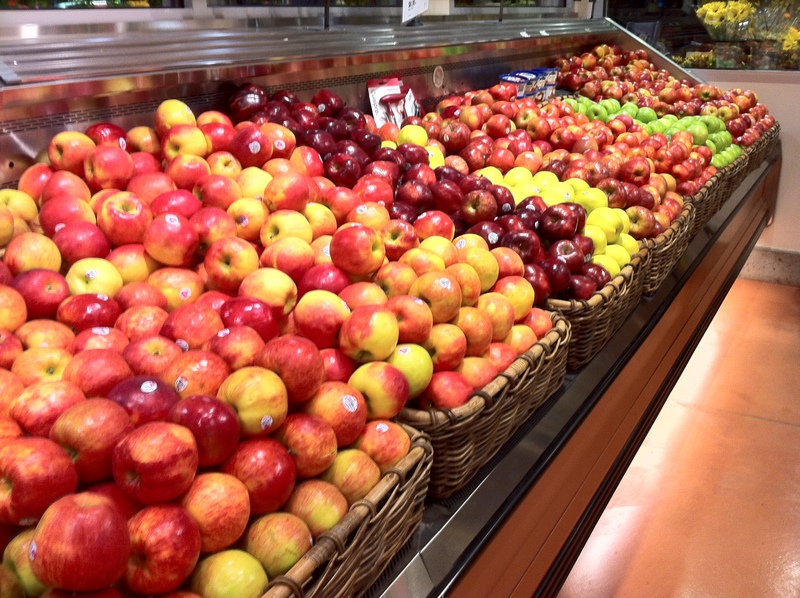 We’re known for our apples here in Washington and October is smack in the middle of harvest season. This is the time of year when the weather cools and Washingtonians begin craving fresh pressed cider, apple pies and cobblers. Apples show up in just about every dish you can imagine. So how can I do a seasonal cocktail and not focus on THE flavor of fall in Washington. One of my favorite ways to incorporate apples into drinks this year has been using an apple cider reduction. The cider I used was made from Jonagolds picked in our chefs garden. 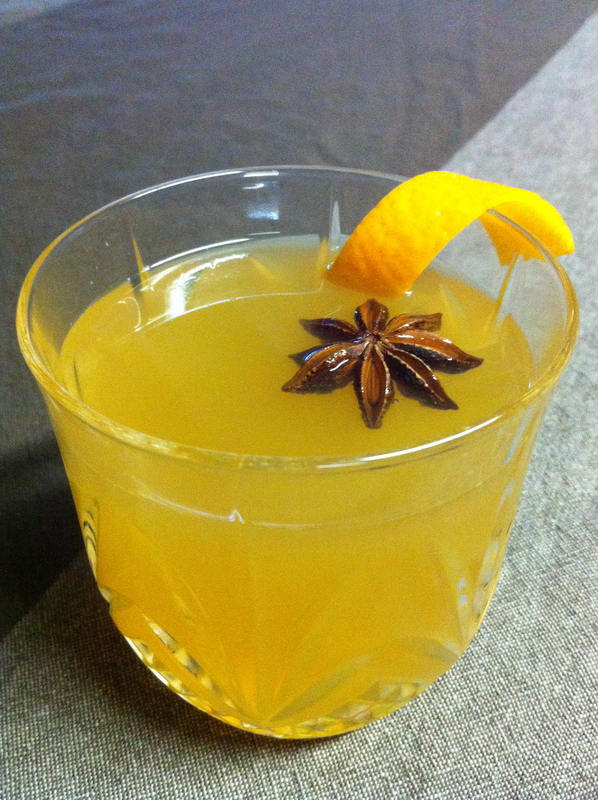 The Jonagold has a great golden sweet flavor with a slight acidity and once the cider is reduced into a syrup that acid really pops, perfect for cocktails. Making the reduction is simple. All you need is heavy bottomed sauce pan, a half-gallon of the apple cider of your choosing, and lots of time. Simply bring the cider to a simmer on your stove top and let it sit uncovered, on the lowest setting until the volume of the liquid is reduced by half. The slower you reduce the liquid the more true the apple flavor will be. If you want to add a little caramelization to the final product then crank up the heat a little, I actually find this to work great with rye whisky. Trellis is a farm to table restaurant in downtown Kirkland. We have an amazing chef, who grows most of the restaurants produce, and a fantastic wine list focused on Washington State wines. The spirits and cocktail program, however, didn’t quite live up to quality of the other areas in the restaurant. Time to, pun intended, raise the bar. Normally I would like to make all the changes in a cocktail program overnight. Take the Jim Beam off of the back bar and put up Buffalo Trace, hire and fire as necessary, teach the staff how to use a bar spoon, make syrups, squeeze fresh juice and wham, new program in place. Trellis has been exactly opposite. I walked into a bar with a horrendous inventory that I was required to reduce before I could bring in new product. I was forced to work with a staff that wasn’t exactly on board with me making them tediously measure ingredients and, god forbid, actually pay attention to what they were putting into a glass. Almost a year and several cases of McNaugton’s whiskey and DeKuyper liqueurs later I finally have a good solid program in place. It features a 42 item cocktail menu that focuses mainly on classic cocktails with a handful of originals. I went heavy on classic recipes to help our staff gain an understanding of where cocktails came from and the why techniques used to make them were developed. This will give them the foundation needed to build truly great original cocktails. Granted, the program and spirits list still needs a little fine tuning but I now have guests sit at the bar and strike up conversation about the new and interesting things they see on the shelves. This makes me happy. It allows me to educate our guests about the growing number of high quality spirits on the market and how, in the hands of a skilled bartender, their flavors can be showcased in a cocktail instead of merely dulled by soda and sugar. One of the best things about Trellis is the availability of our chef’s 10 acre “garden”. Over the summer I was able to utilize fresh berries and herbs for seasonal cocktail specials, and make preserves for use this winter. There were more blueberries, raspberries and blackberries then I knew what to do with and the apples are still coming in. He grows herbs like hyssop and verbena which allows me to work flavors beyond the standard mint and basil we see everywhere. Today I am finishing a homemade liqueur made with lavender flowers harvested from the garden. There will be many future posts covering how I am utilizing these ingredients and the cocktails that I create. 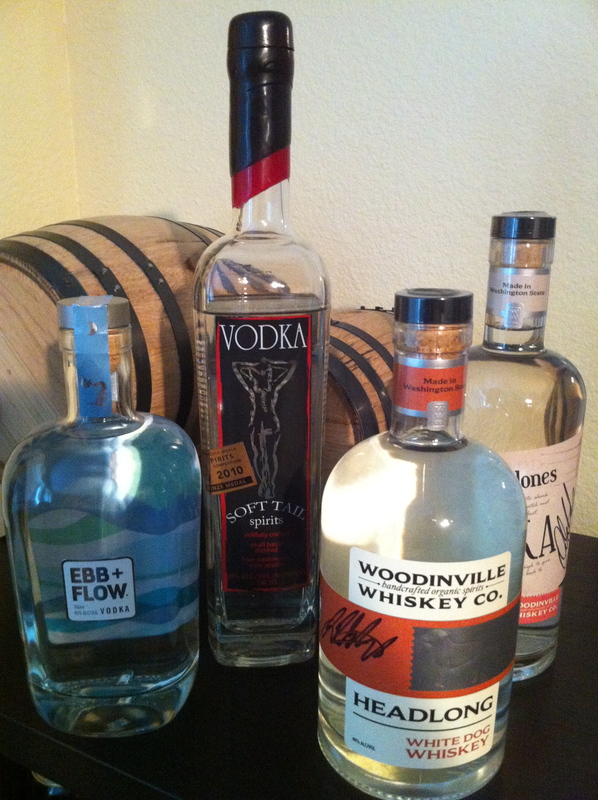 I will also be covering spirits that I particularly enjoy and the local craft distillery scene as it grows.